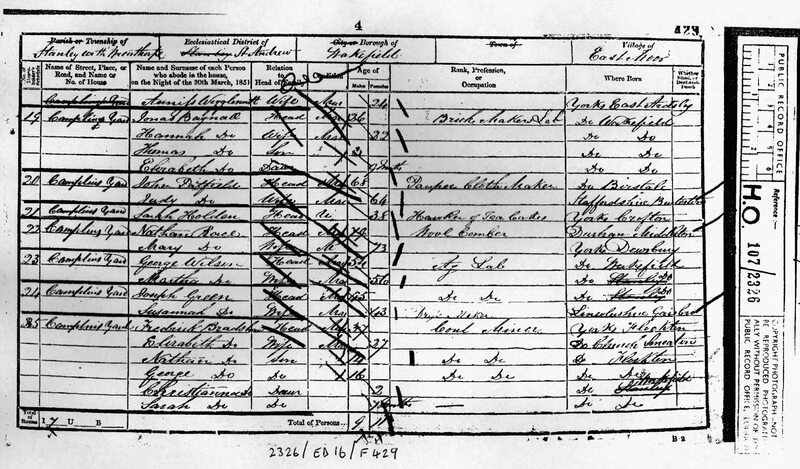 From the 1851 census we see that Thomas is now married to Hannah Willis and living at 141 Bridge Street, Doncaster Road (or Doncaster Row?). Thomas is 28 and Hannah is 24. Their children William (yet another William) and John (My Great Great Grandfather) are listed with their ages. Visiting or living with them at the time was Hanna's sister, Ann Willis, listed as sister in law. 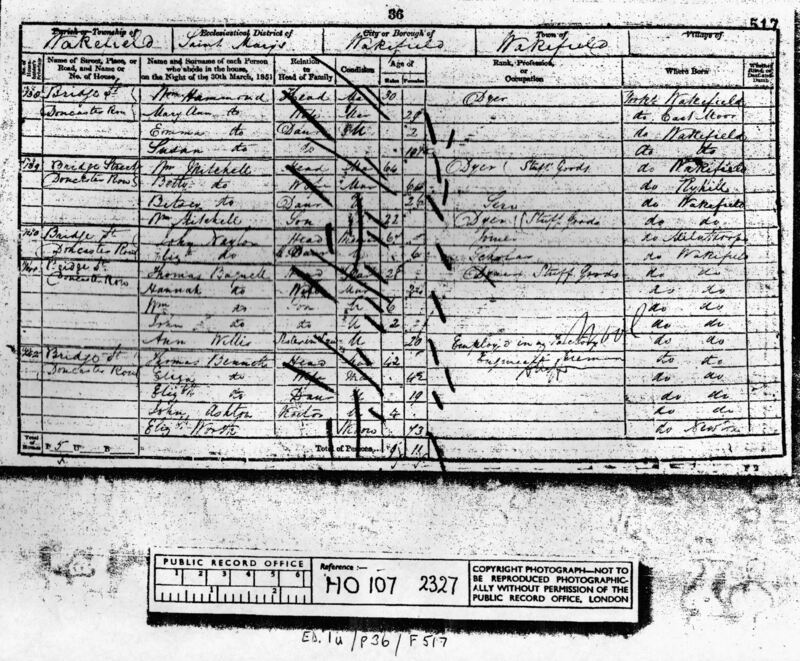 From this census entry we can see that Jonas was a Brickmakers Labourer, possibly at the local Mount Clay Brickworks at the end of Greenhill Road, or perhaps at the Wind Hill Brickworks a mile further north. Perhaps this was what led to the Bagnall family becoming involved in building? Jonas and Hannah lived at Camplins Yard. This may well have been in the Stanley Road/Greenhill Road area though I don't know with any certainty.